Beautiful newborn art is created in my home studio, in Kilmarnock, Ayrshire. Newborn sessions take place in the first 3 weeks of the baby's life, but preferably in the first 5-12 days. At this stage your baby is still sleepy and can curl up easily, just as they were in the womb. 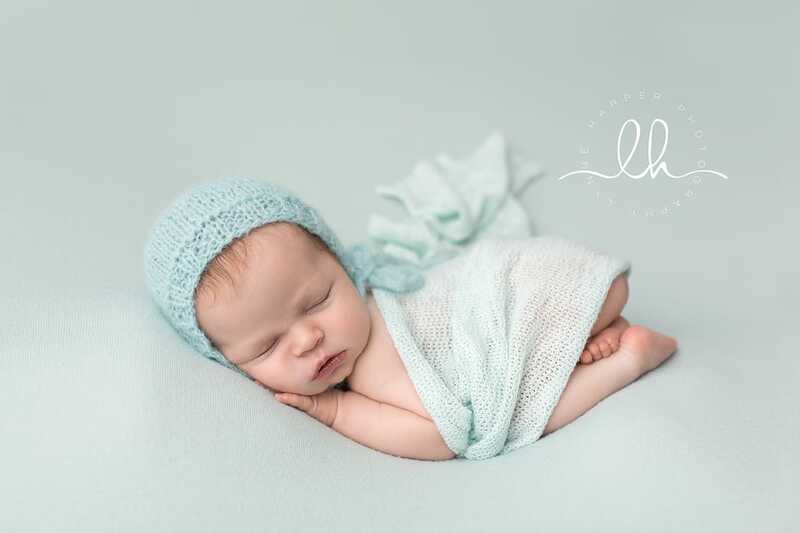 Due to the hours dedicated to newborn art, I allocate a limited number of newborn sessions each month and therefore it is recommended that you book your newborn session as soon as you can between your 12 and 20 week scans. A provisional booking based on your due date and then I will wait to hear from you once your baby arrives to arrange the session. Newborn sessions are very relaxed and take approximately 3hrs. This allows plenty of time for feeding and changing baby throughout the shoot and usually guarantees a period of time when the baby will sleep soundly for posing. My aim is to provide you with stunning artwork that you will proudly hang on the walls within your home. To ensure that we achieve this, I consult with parents before the shoot on colour preferences and and particular likes and dislikes. I look forward to welcoming you and your newborn to one of my studio sessions. Newborn Sessions can be booked here (from your 12 week scan onwards). Please also visit my Facebook page to view preview images that I am creating on a daily basis.